To start growing lavender indoors, choose a variety that can tolerate indoor conditions, pot it appropriately, place it in a sunny area, and re-pot the plant each year. 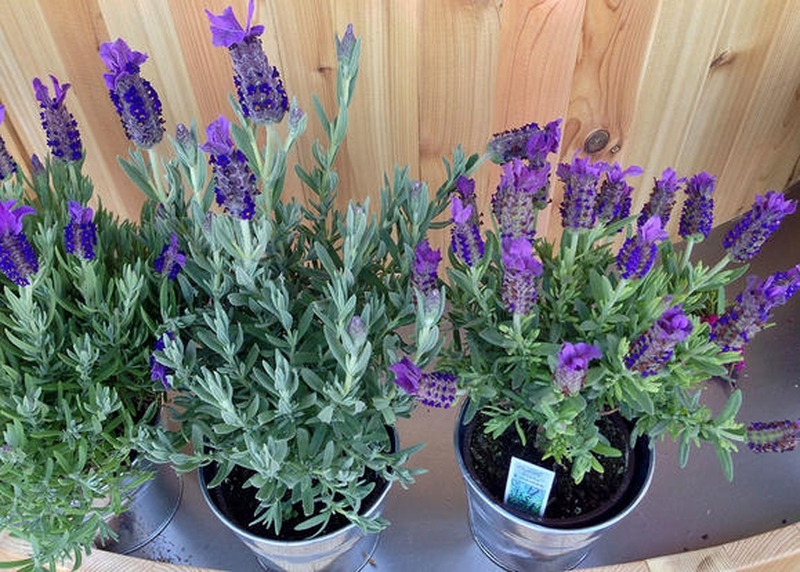 You need a lavender plant, a container, potting soil and a sunny indoor area. The time needed for potting is about 20 minutes. Choose a variety that can survive indoors, such as French lavender. Find a sunny area near a south-facing window in your house for keeping your plant. If there is not enough sunlight in your house, purchase broad-spectrum plant bulbs. Pot your lavender plant in an easily movable, appropriately sized pot in a potting mix that has been well-drained. Make sure the pot has holes in the bottom to allow water to drain. Put some gravel in the container before adding potting mix. Give the plant time outdoors in sunny, warm conditions to start developing flowers. Transition the plant to indoors over several days with some time both indoors and outdoors. Rotate the pot every couple days so that sunlight reaches all leaves. Do not over-water; allow the top inch of soil to become dry before watering. Add a hand full of compost about every six months by gently digging it into the surface of the potting soil. Re-pot the plant into a larger pot every year as the lavender grows. Server responsed at: 04/19/2019 8:46 a.m.